Bill Germany (L) and Dennis Andrews pose with the 2017 ACPA Lifetime Achievement award. 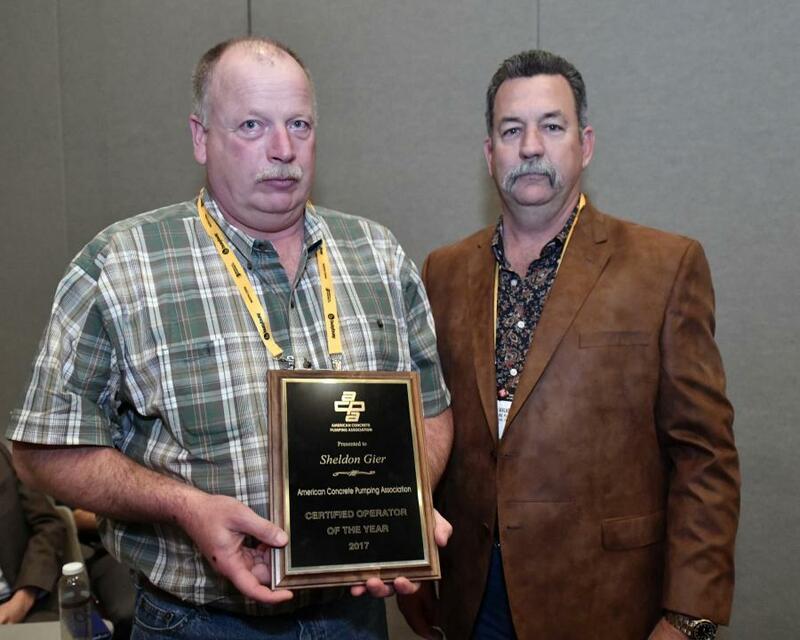 2017 ACPA Safe Operator of the Year — Sheldon Gier, Kokosing Construction Company, Fredericksburg, Ohio. On the job site at Kokosing Construction Company, Gier is known as a mentor and leader who is capable, confident and committed to emphasize the company mission of working and living with safety on the mind. Gier has held certification as an ACPA concrete pump operator for more than 12 years of his 30-year construction career. He recently reached the achievement of working 10,000 man-hours accident-free and has had no damage to date to any equipment or accidents involving Kokosing equipment. 2017 ACPA Hall of Fame Award — Gabriel Ojeda, Fritz-Pak Corporation, Dallas, Texas Ojeda, president and CEO of Fritz-Pak Corporation, was born in Mexico City and raised and educated in Mexico. In 1984, Ojeda began working for Fritz Industries in Dallas and began managing the international promotion of Fritz Industries' newly patented product, Slick-Pak, in 1994. In 1998, an opportunity arose for Ojeda to buy the Admixture Division of Fritz Industries, and he and his wife Jane formed Fritz-Pak Corporation. As Fritz-Pak grew, Ojeda continued his involvement in the ACPA by working on committees and serving on the board as a manufacturing member since 2006. Ojeda is the first recipient of the newly formed ACPA Hall of Fame Award. 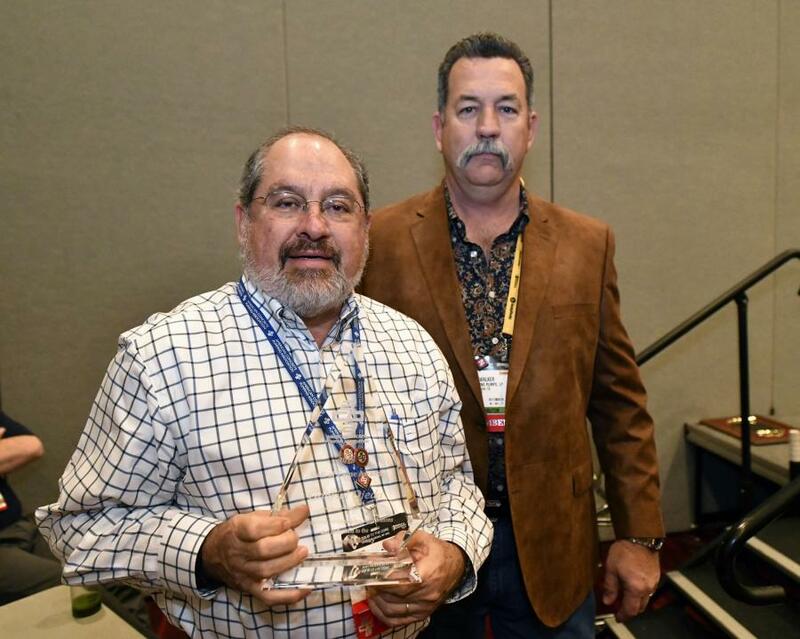 2017 ACPA Lifetime Achievement — Bill Germany, Tri-Way Concrete Pumping, Dallas-Fort Worth, Texas.Germany's long history in the concrete pumping industry began in 1976 when he formed Bill's Pumping Service. In 1977, Germany merged his pumping company with Tri-Way Concrete Pumping, the company his father founded in 1968. Through integrity and hard work, Germany helped build a business that became known for exceptional service and equipment for construction projects in Dallas-Fort Worth and beyond. Germany has remained committed to advancing the concrete pumping industry as an active member of the ACPA and its board of directors. 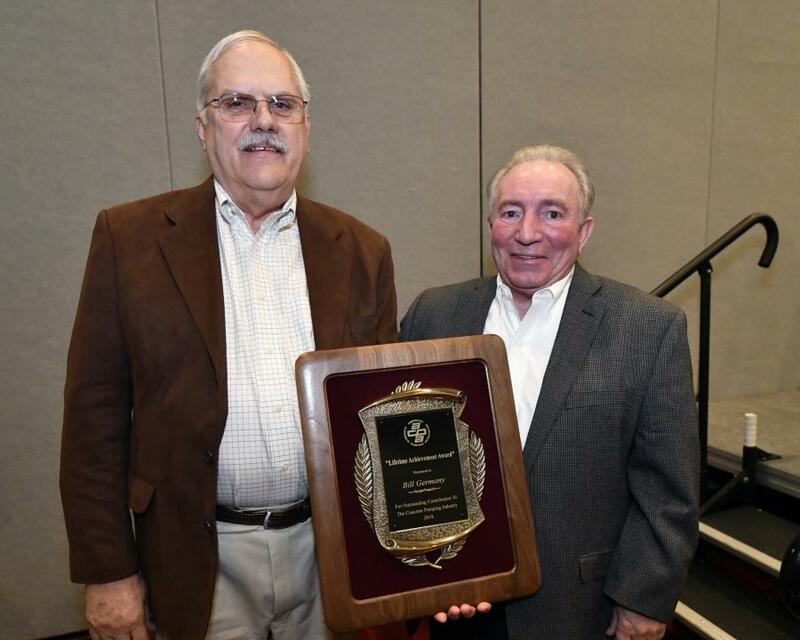 The ACPA Awards promote merit and achievement in the concrete pumping industry and recognize individuals who have made exemplary contributions to ACPA. Award winners embody the core values of advancing the concrete pumping industry and commitment to ACPA. For more information, visit www.concretepumpers.com.